calv1n and Muddy250 like this. Did you even read the thread title? Rahul718, om3ga_fan, Muddy250 and 2 others like this. Muddy250 and md101010 like this. Very happy with my new purchase shown a few posts above. It's running about +1 sec per day, which I think is fantastic and is only very slightly better than my PO8500. 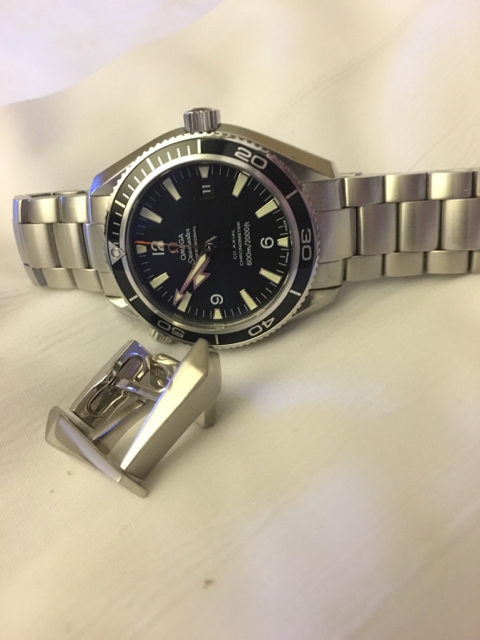 Since I bought this watch second hand, I brought it to the Omega boutique in NYC over the weekend and asked them do perform a complimentary evaluation and they said the watch is performing great and doesn't need a service in the immediate future. This is going to replace my SMPc that I bought new and that's only been worn less than 5 times. I'm going to surprise my dad and give it to him. Muddy250 and Morrisdog like this. DocJekl, ssada416 and soul12 like this. Ugh man, I'm currently in quite a dilemma... I bought a 42mm 2500 to accompany my XL 2500, but I don't even wear the 42mm :( I guess I sell the little one, and keep the fat one? Or do I lose so much weight that the 42 doesn't look too small on my wrist? 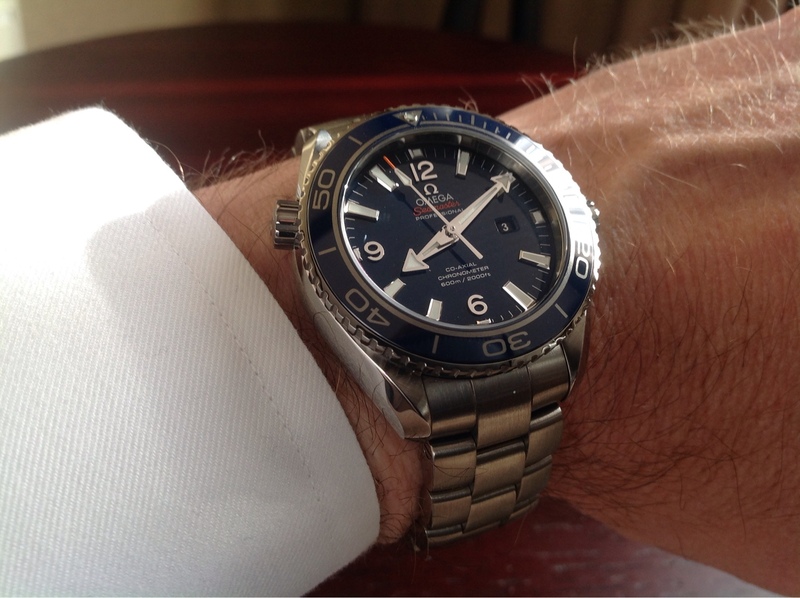 The 42mm looked massive on my 6.75" wrist until I put on the XL. The 45mm looks like I'm wearing a dinner plate. 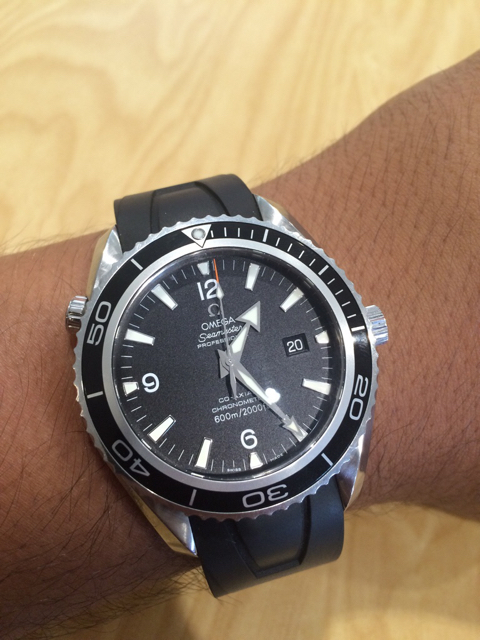 You should try wearing the 42mm for a few days and it won't look so small. That's funny - I keep my 45.5 2500 on the same rubber strap. 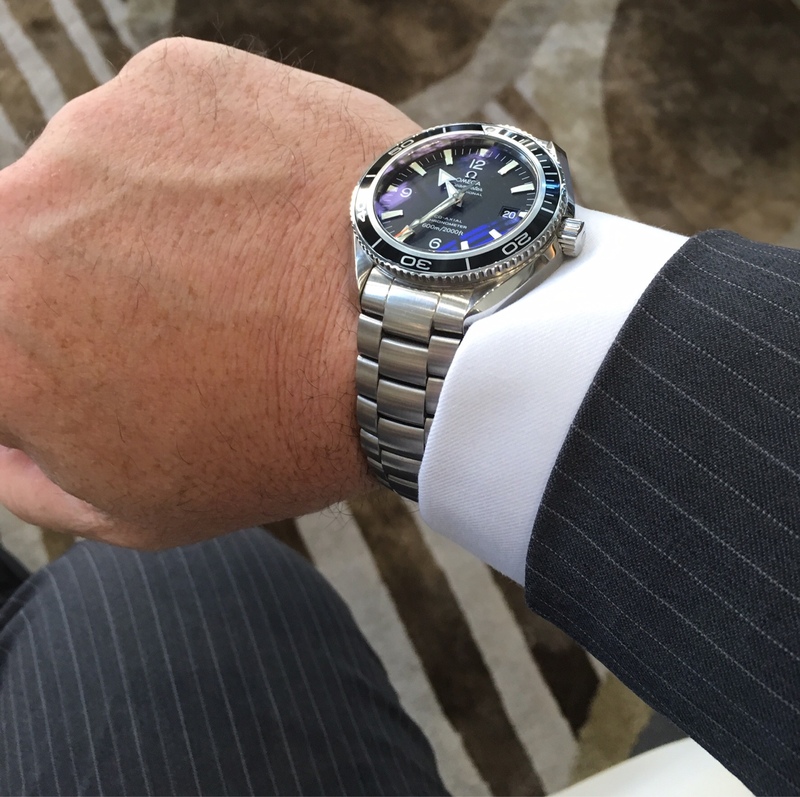 My 42mm stays on the steel. What's your wrist size? Mine 7" and at the outset I thought my 42 looked too small but really it now feels spot on.